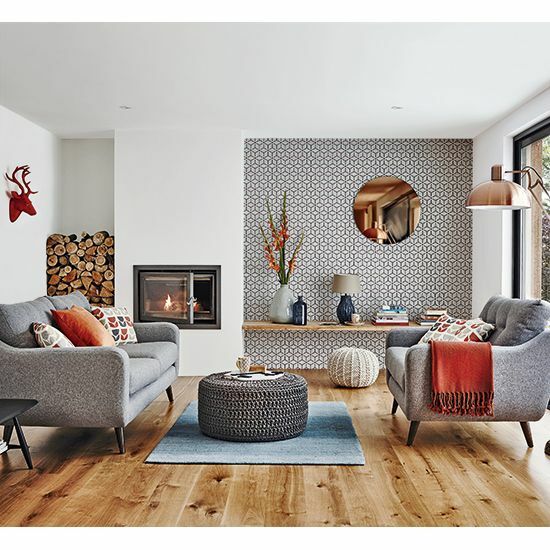 The perfect living room is one that suits the way your family live, so whether you’re looking for inspiration to completely redecorate or just want to give your space a quick update, The Wooden Furniture Store have created a guide to planning the perfect living room layout. 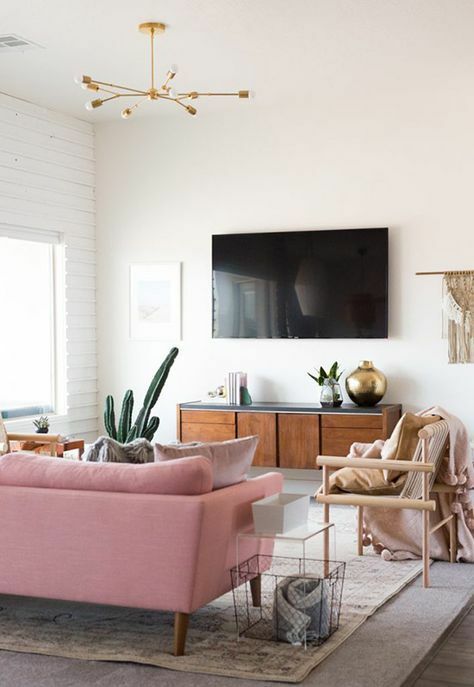 We’ve covered everything from ideas for different room shapes, styling tips, shopping advice and of course the very best furniture ideas to help you make the most of your space. Begin by focusing on the positives in the room, perhaps the fireplace, the view from the windows or simply the sunny aspect. 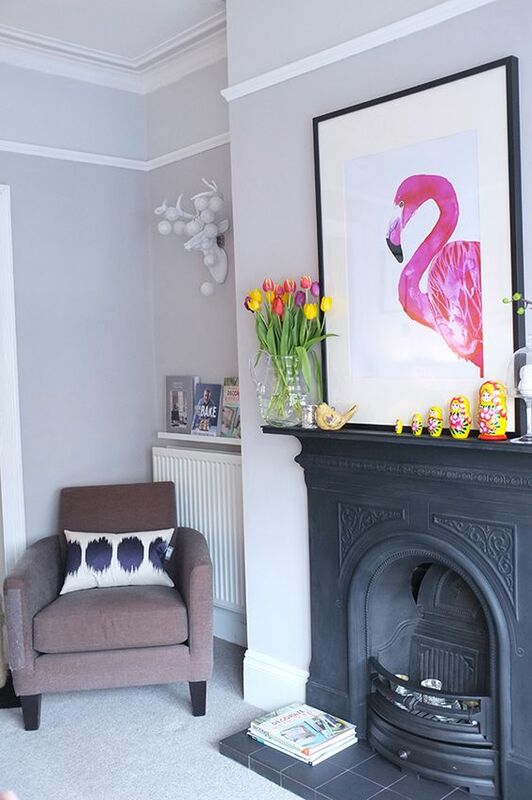 Plan your scheme to highlight these key features and think about the features you don’t like quite as much and work on changing them to minimise their impact on the space. Next, consider how your family move through the room and think about keeping that feeling of open space and accessibility. Think about how do you enter the room? Move between chairs? Get around the corner of a sofa? Or watch TV? For a rectangular room minimise the look of a long room by putting seating across it – try two sofas opposite each other or a sofa and two chairs. Think about getting a balance between the different number and size of the pieces of furniture and try to position them away from the walls. A large space can feel like two separate rooms. Use the main area shape for seating and if the room is large enough, think about different functions for the two sections. For example, a formal seating area in the main part and a TV-watching zone in the smaller part. 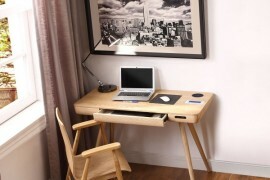 To make the two areas work together, introduce rounded furniture, such as a small chair at the corner. If there’s no obvious focal point, square rooms can feel boxy and featureless. Use two, or three armchairs with a sofa to break up the symmetry or position sofas at right angles to each other. If space is tight, try a sofa and single chair in a loose L-shaped configuration. 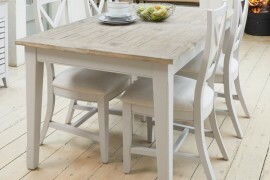 Choose styles with narrow arms and slim backs that take up less room. 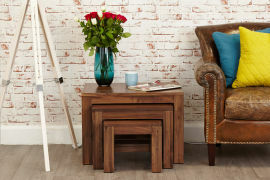 Swap a coffee table for a nest of tables or lamp tables at either end of the seating to keep the space open. 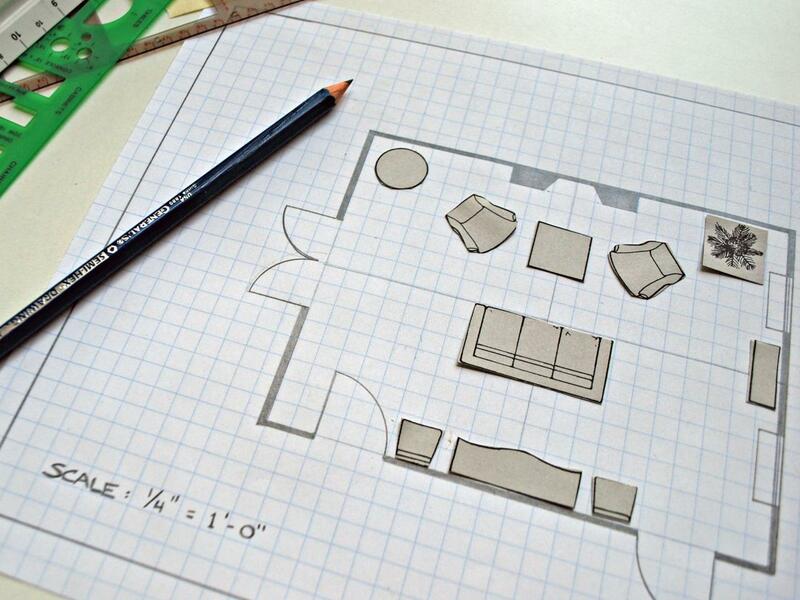 Before you buy any new furniture, always measure your space to get an accurate idea of what will work in the room. We like to use sheets of newspaper stuck together so that you can play around with the arrangement and get an idea of size. You should have about 90cm of walking space around the room. This is what you need to be comfortable, without knocking into furniture and bumping into walls. Remember that any type of furniture with doors or drawers will need extra space to open properly. Don’t push all your furniture up against the walls. 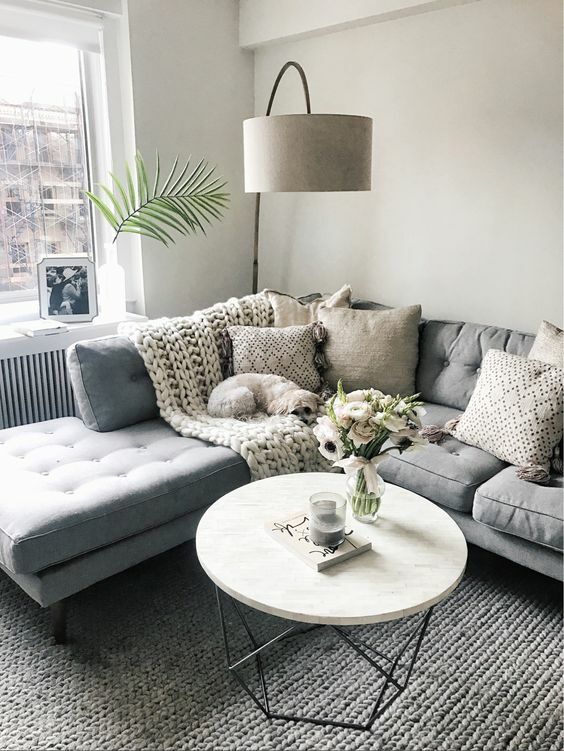 Pull your sofa out at least 30cm from the wall – it will make the space seem more inviting and cozy. 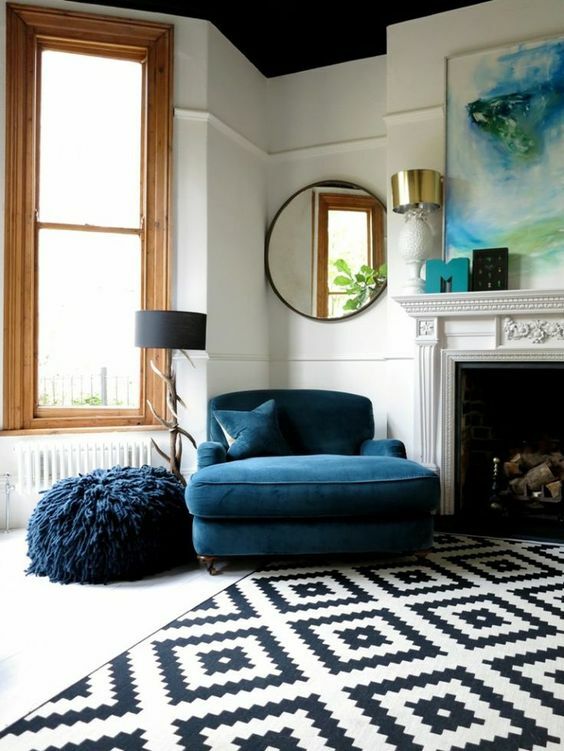 And try symmetry first – this often works best in a living room. For most families, the TV is the focal point of the living room. 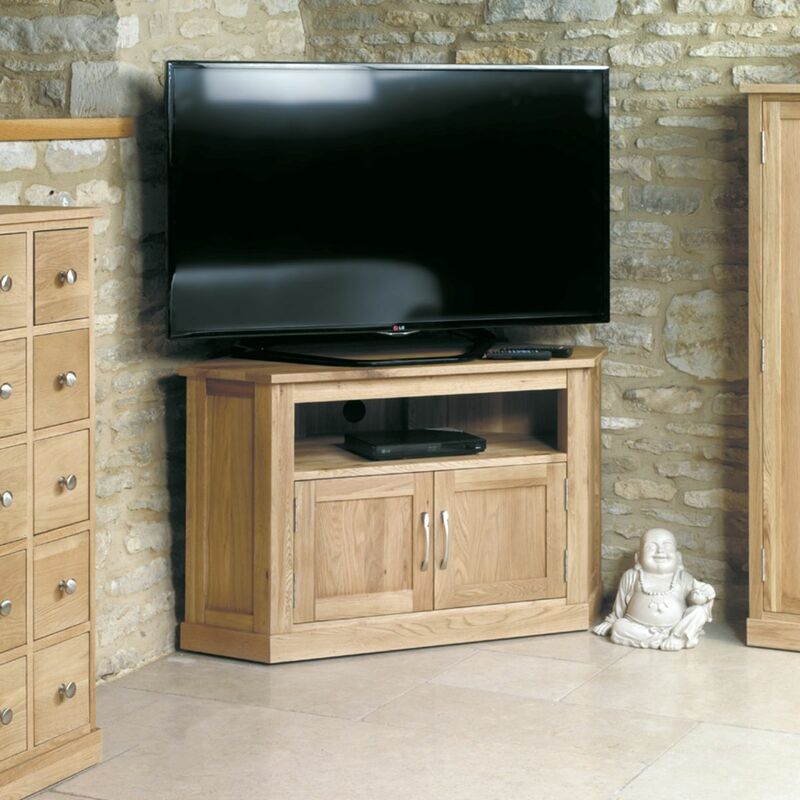 Choosing the right TV cabinet so that it doesn’t dominate the room, can be a challenge. We’ve come up with a few ideas to help disguise your TV when planning your new living room layout. Don’t be tempted by that big 70 inch screen if you can barely fit a sofa in to your living room. The amount of space you allot to your TV stand depends on the size of your room and a great option for a smaller space is a corner TV unit. 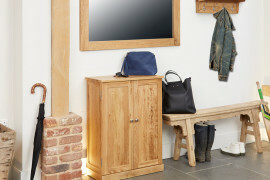 This Oak corner television cabinet is neat, compact and won’t overwhelm a smaller space. 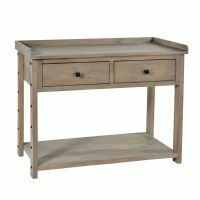 It’s ideal for a TV stand to also include some storage. 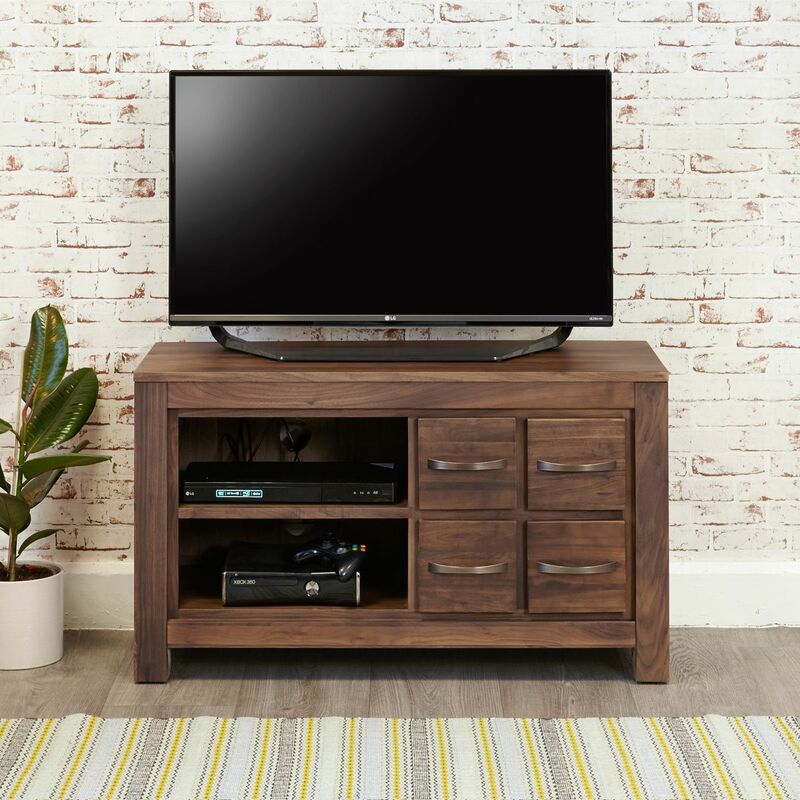 Our best selling Mayan Walnut TV cabinet has a combination of storage – shelving for your entertainment box and DVD player and drawer space for remotes. Make sure that the total width of the TV stand that you use choose, is more that the total width of your TV. 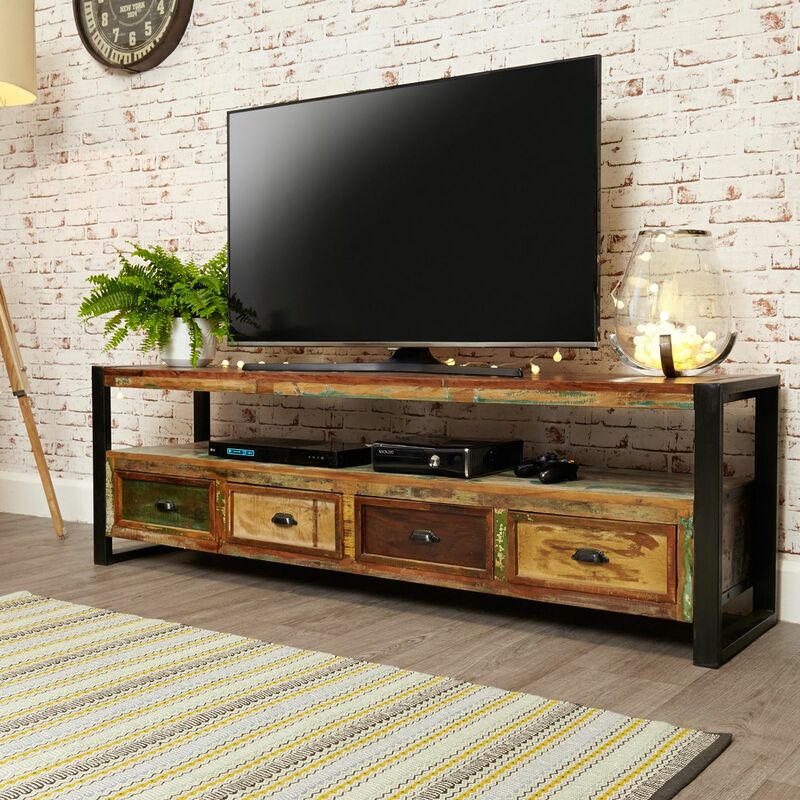 If you’ve got the space, the Urban Chic open widescreen TV cabinet is designed to hold a TV up to 80″ wide. 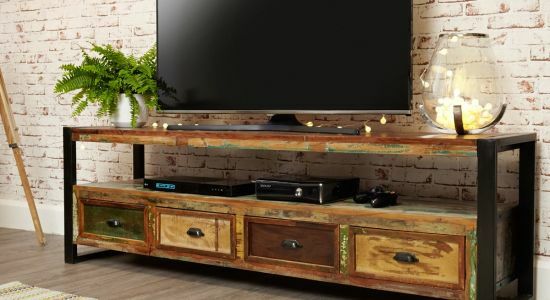 It would give your TV a sturdy base, offers plenty of storage and is made from recycled wood sourced from Southern India. Remember for the best viewing experience, there should be plenty of space between you and the TV and the lower half of the screen should be level with your line of sight when seated. Placing the TV or entertainment cabinet in front of a window isn’t ideal – the back lighting from the window will make it difficult to see the screen and block out natural light. 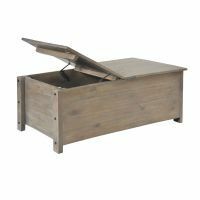 There’s nothing more unappealing that a living room full of clutter, so when planning your space, consider some fabulous storage options. 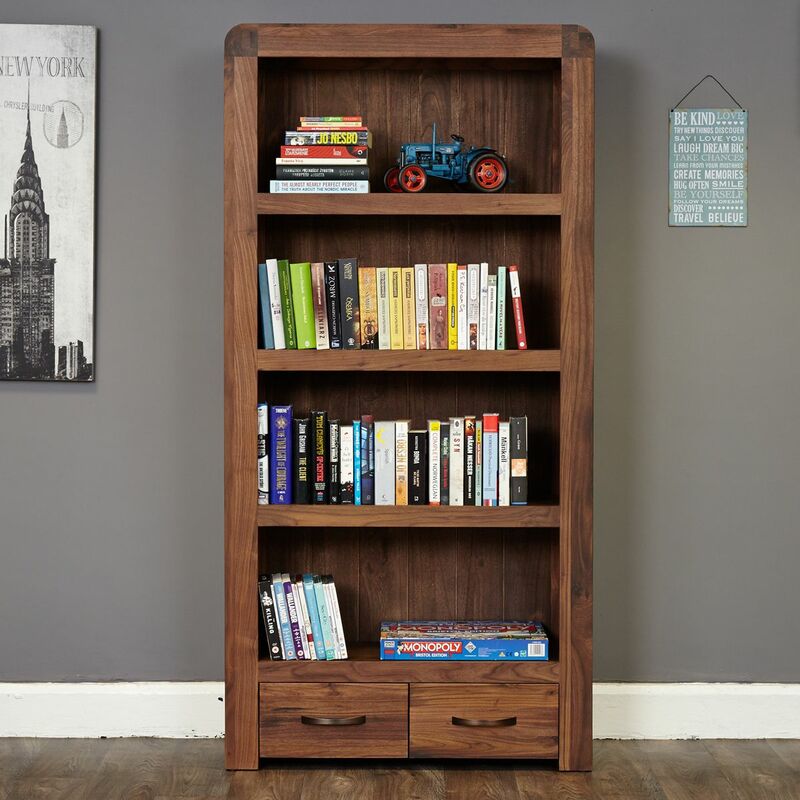 Storage doesn’t just need to be functional, you could use it to give your living room a whole new focal point with the Shiro Walnut 2 drawer bookcase. 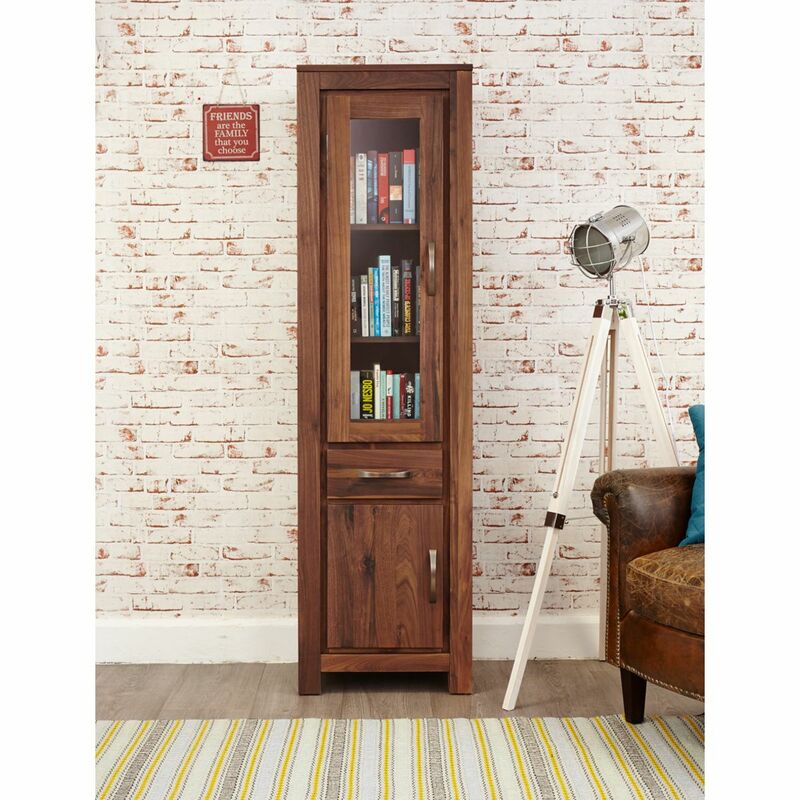 Don’t think that bookcases are just for traditional style rooms, shelving filled with a combination of framed family photographs and much loved accessories will create a striking unique feature. 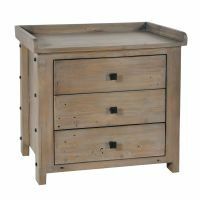 Hide away your living room bits and pieces in a classic sideboard and use the top for display. 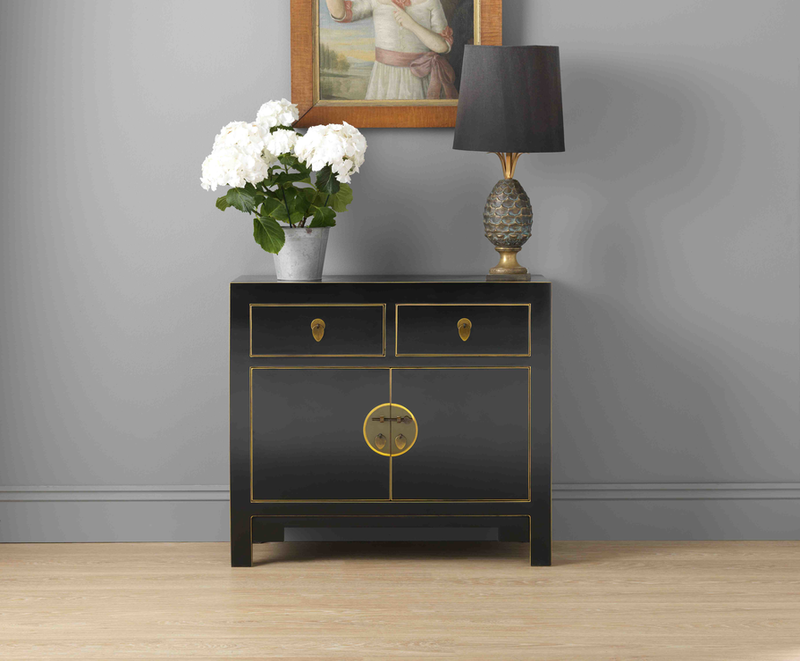 Why not try something a bit less traditional and opt for a small black lacquer sideboard from our nine schools range? A glass-fronted cupboard is a great way to display stylish belongings – like this Mayan Walnut glazed cabinet. The glass will act like a frame for the objects stored inside your cabinet, so give items space to breathe so they become well-considered focal points. The coffee table is last piece of the living room furniture puzzle. 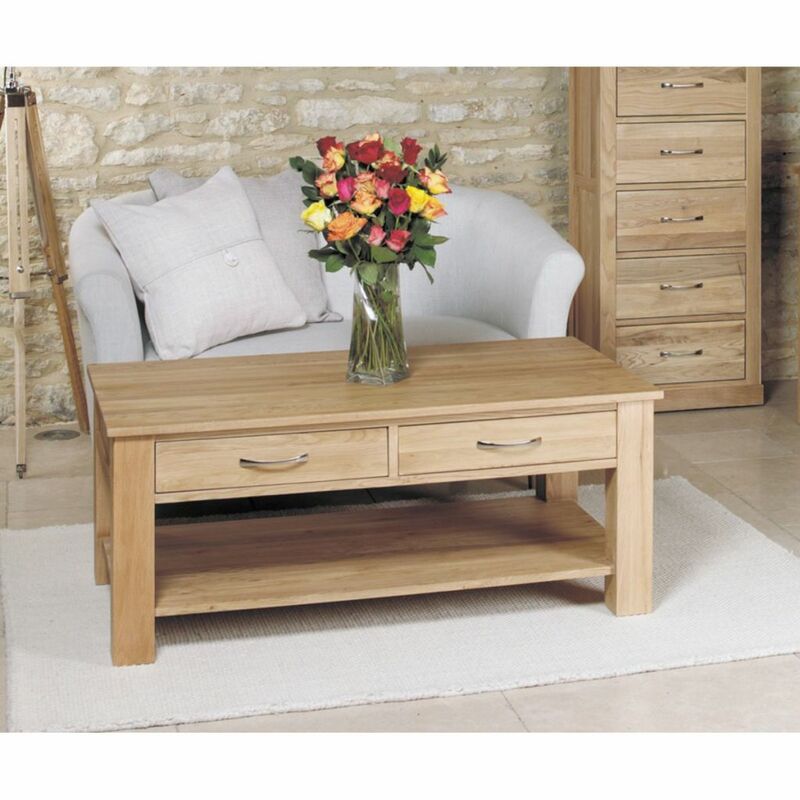 A coffee table should be the same height as the cushions on your sofa and approximately two-thirds the length. 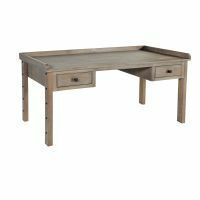 We think it’s a good idea to opt for multi-functional furniture where you can and a coffee table with storage is a great way to hide clutter. 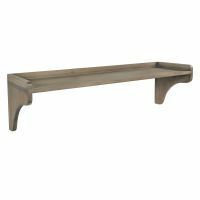 This Mobel Oak four drawer coffee table has a shelf beneath will create an extra surface for stashing newspapers and remote controls out of the way. Smaller spaces can benefit from multiple coffee tables because it gives the room more flexibility to adjust the layout for different activities. 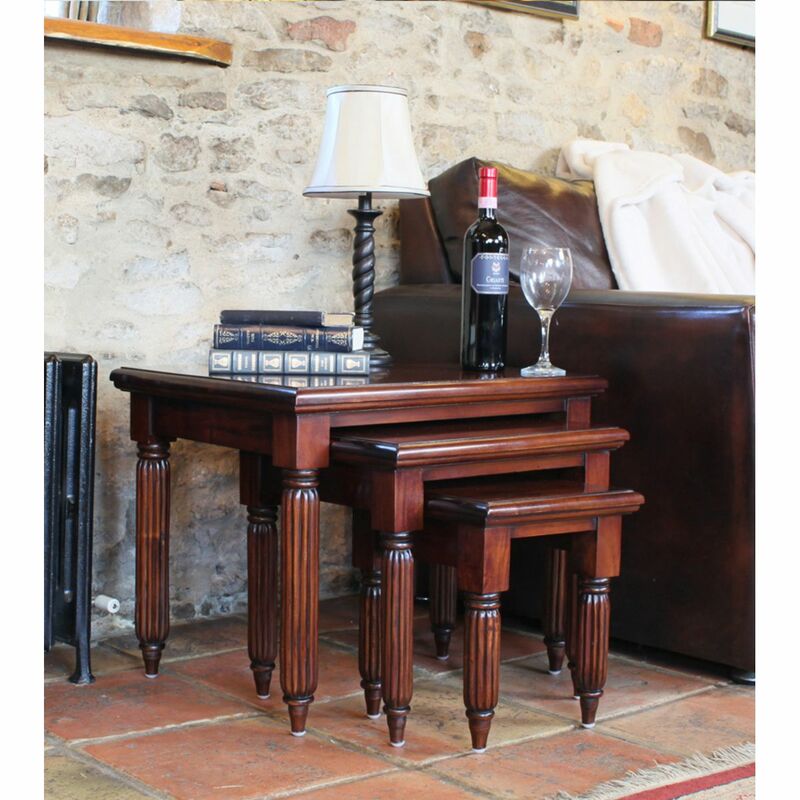 The beautiful La Roque mahogany nest of tables are a classic design with a glossy finish. 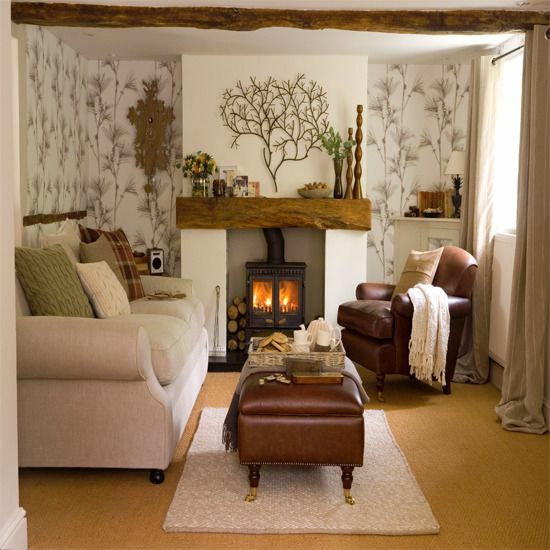 There are lots of finishing touches that you can add to make the living room look finished and welcoming. Here are a few our tips for those all important finishing touches. Add rugs to anchor your furniture and provide a focal point in the room. 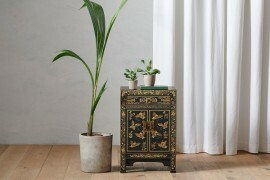 Try to ensure that you choose a size which is bigger enough to go under all the furniture that you want to connect. 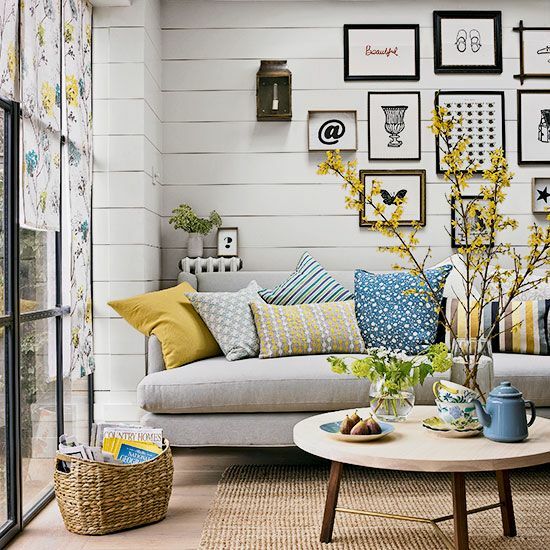 Decorative cushions are wonderful for pulling together a theme or colour palette. Choose shades and patterns that complement the rest of your furniture or opt for a wildcard colour to draw the eye. Dimmer switches are the easiest way to adjust the mood of the room, while wall lights give a gentle, diffused glow – ideal for relaxed evenings. Otherwise, add an extra power point or two so you can have table lamps to provide atmospheric lighting that you can also read by. 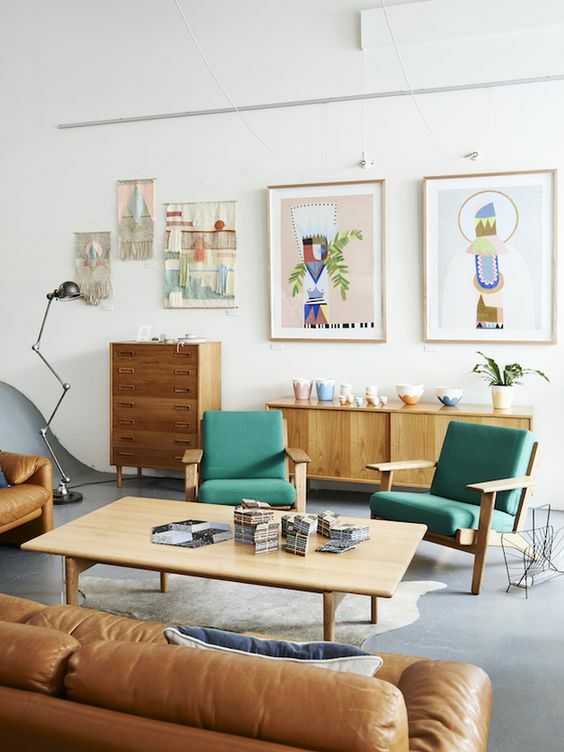 Bare, boring walls get a real lift with a painting, colorful poster, collection of prints, or family photos. Try to focus on a color scheme or theme or use one large piece to create a focal point. It’s amazing what a transformation some flowers or greenery can make. 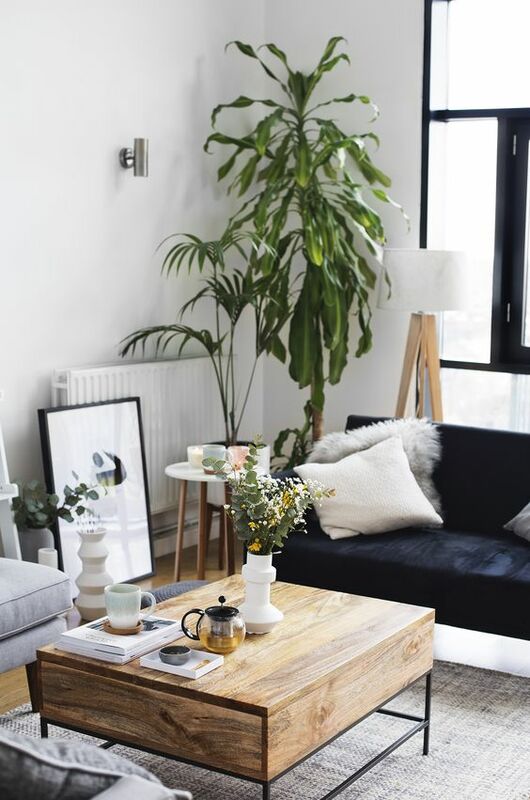 You don’t need to find something dramatic and expensive – a simple plant potted in a decorative pot set on a coffee table, bookshelf, on top of a cabinet adds life and colour. But above all else, make sure whatever you buy is comfortable for your home. Choose furniture that fits you, try out different sized pieces and play around with idea. We’d love to see the results!